The Fjord Horse or Norwegian Fjord Horse is a relatively small but very strong horse breed from the mountainous regions of Western Norway. It is an agile breed of light draft horse build. 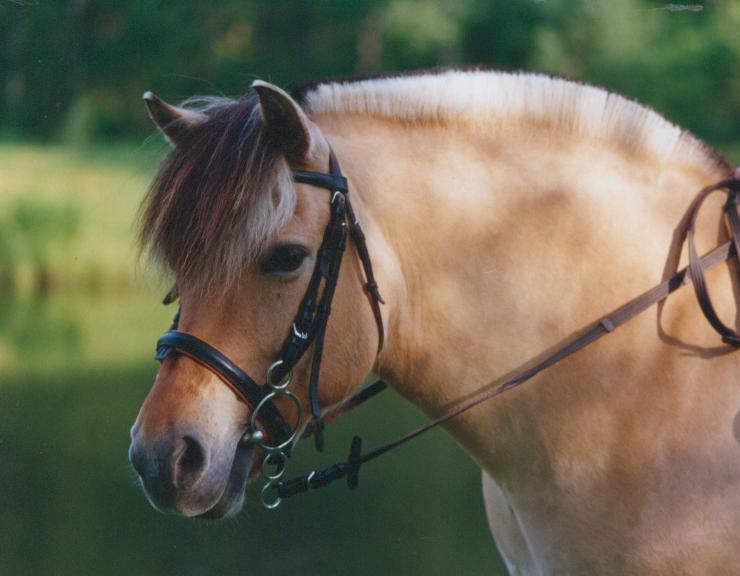 All Fjord horses are dun in color, with five variations in shade recognized by their breed registries. One of the world’s oldest breeds, it has been used for hundreds of years as a farm horse in Norway, and in modern times is popular for its generally good temperament. It is used both as a harness horse and under saddle. The Fjord horse is one of the world’s oldest and purest breeds. Horses were known to exist in Norway at the end of the last ice age. It is believed that the ancestors of the modern Fjord horse migrated to Norway and were domesticated over 4,000 years ago. Archaeological excavations at Viking burial sites indicate that the Fjord horse type has been selectively bred for at least 2,000 years. The Fjord horse and its ancestors have been used for hundreds of years as farm animals in western Norway. Even as late as World War II, they were useful for work in mountainous terrain. 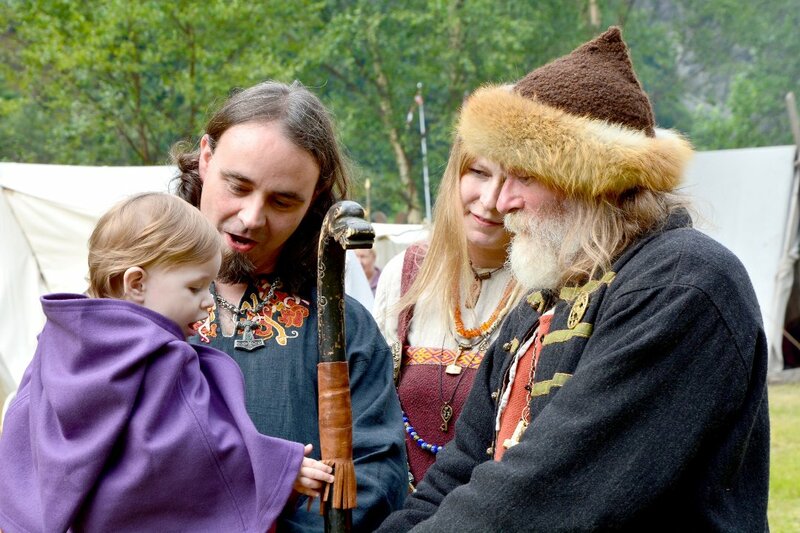 The Fjord horse also has a long recorded history of pure breeding without crossbreeding from other sources. The Fjord horse has a distinct appearance. The breed’s conformation differs from many other breeds in that it is a blend of draft horse muscling and bone, with smaller size and greater agility. It has a strong, arched neck, sturdy legs and good feet, and a compact, muscular body. The head is medium sized and well defined with a broad, flat forehead and a straight or slightly dished face, with small ears and large eyes. Despite its small size, the breed is fully capable of carrying an adult human and pulling heavy loads. The hair coat becomes particularly heavy and thick in the winter. 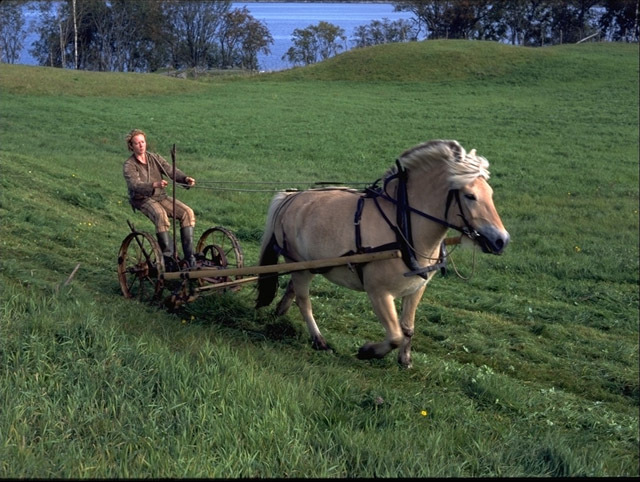 The Fjord horse is strong enough for heavy work, such as plowing fields or pulling timber, yet light and agile enough to be a good riding and driving horse. They are also surefooted in the mountains. Today, the Fjord horse is a favorite at Norwegian riding and therapeutic schools, as its generally mild temperament and small size make it suitable for children and disabled individuals. They are considered very good driving horses, and are commonly used in everything from competitions to tourist transport in Norway. They are also used as a sport horse, particularly in combined driving. Also see Julie. K. Rose’s blog.